That is a LOT of identical or similar features between five projectors. So how do they differ? 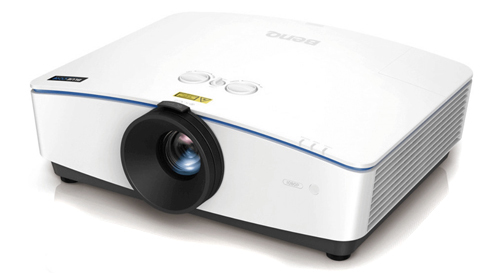 Let's take a closer look to see what each projector has (or claims to have) as well as what it lacks compared to the competition. (Btw, if you want to see all specs side by side on the Compare page, click here). Keystone correction limited to conventional +/-25 degrees horizontal and +/-30 degrees vertical; no 4-corner control. 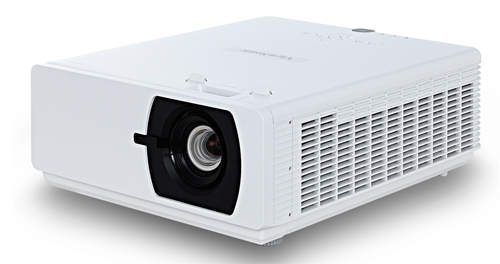 All five of these projectors are strong candidates for all the typical applications for a 5000-lumen, 1080p, laser-phosphor based projector--from large classrooms, conference rooms, and houses of worship to sports bars, restaurants, and retail and museum displays and signage. In addition to matching resolution and nearly matching brightness specs, all are suitable for 24/7 operation, and most of them (the NEC P502HL-2 excepted) offer 4-corner keystone correction that facilitates stacking for an even brighter image. For dusty environments, or cases where "set em and forget em" maintenance-free operation is key--like sports bars or signage--the BenQ LH770, Dell 7760, ViewSonic LS800HD, and Optoma ZH500T-B all offer the advantage of dust-resistant certification. And if you need a display in portrait mode, only four models--the NEC P502HL-2, the Dell 7760, the ViewSonic LS800HD, and the Optoma ZH500T-B--deliver that feature. Similarly, the BenQ LH770 is the only one that offers 95% coverage for Rec.709 color, which may give it the edge for color accuracy in, say, a sports bar. In short, all five of these projectors are potentially good choices. But, as always, you need to look for the particular mix of features for each to find the best fit for your needs.